This project was designed to harness the rapid technological advances being made in the capture and processing of dense point cloud data as a tool for forest estate management. 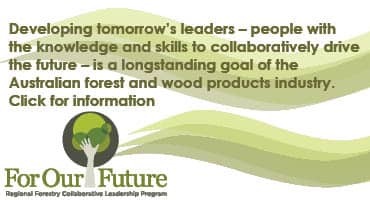 It involved multi-discipline collaboration with commercial plantation growers, lead forest industry service providers and robotics scientists to ensure the delivery of efficient, resource assessment products. This project has sought to expand upon the operational adoption of remotely acquired data, in particular LiDAR data, by plantation growers both in Australia and in New Zealand, for the assessment and monitoring of plantations. The modelling and data workflow processes developed in these projects utilised data acquired by existing airborne sensors. The overall aim of this project, which was led by industry partner SCION, was to optimise the extraction and processing of meaningful information from these dense point cloud datasets acquired from both airborne and UAV platforms. The researchers compared a suite of 3D visualisation software packages to analyse their potential. The project results clearly demonstrate that voxel-based metrics have considerable potential for improving the precision of forest inventories. Extraction of these metrics do not add greatly to inventory cost, the precision gains demonstrated are likely to markedly improve estimates of inventory attributes, or allow equivalent accuracy at a lower cost. Precision gains to all but the lowest pulse density suggests voxel-based metrics could be implemented using LiDAR data captured at standard pulse densities associated with aerial capture, allowing for immediate and widespread implementation. As these technologies have advanced they have provided direct benefits such as more accurate and reliable improvements in data capture, which has improved both stand and tree-level assessment. In addition, indirect benefits such as safety, and reduced operational time and costs offer further benefits such as remote access in difficult to access locations for on-ground inventory crews.